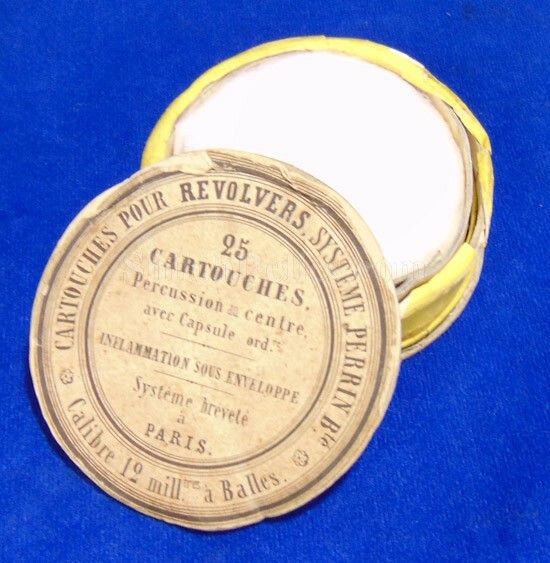 Rare Paper Container for 25 Perrin Revolver Cartridges EMPTY! Here is a scarce piece of firearms history. 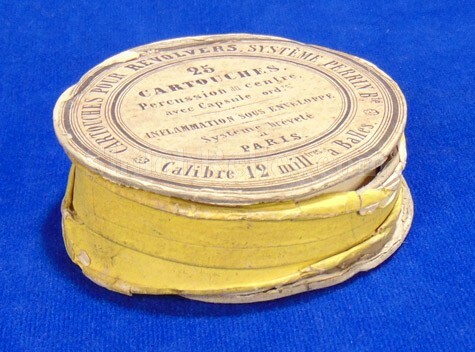 This is the paper container that would have originally held 25 metallic cartridges for the Perrin patent revolver. Both the revolvers and cartridges are scarce, but these containers are almost nonexistent. 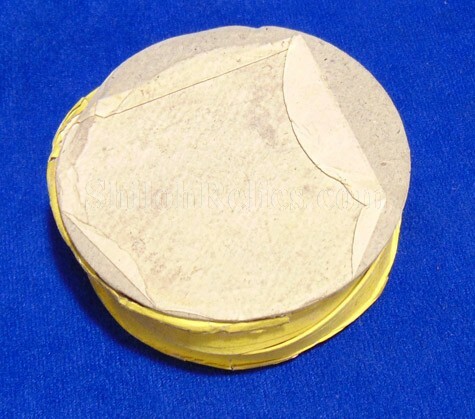 The piece measures 3 inches across the top and stands approximately 1 1/8 inches tall. 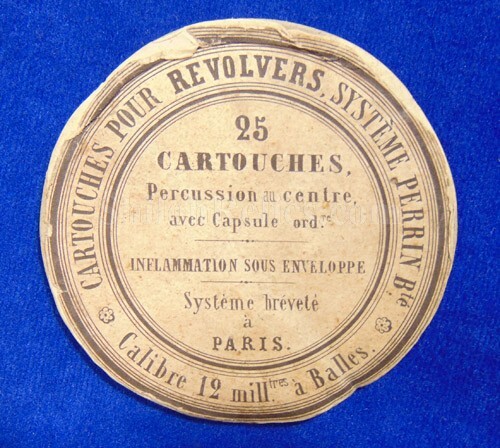 The paper label on the top reads "CARTOUCHES POUR REVOLVERS, SYSTEME PERRIN Bte Calibre 12 milltres a Balles." In the center. 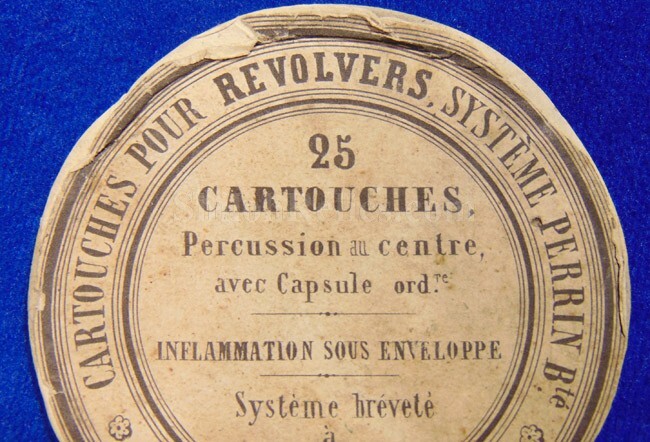 It reads, "25 CARTOUCHES, percussion au centre avec Capsule ord. 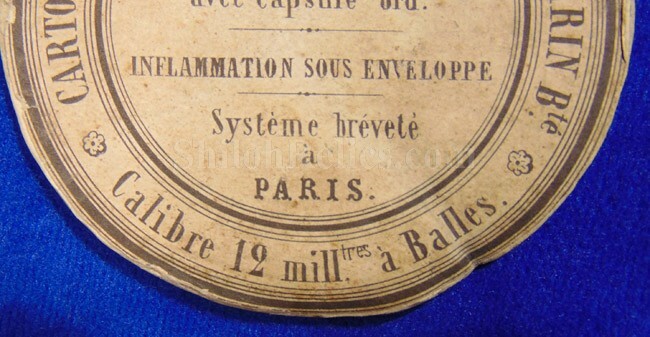 / INFLAMMATION SOUS ENVELOPPE / System brevete a PARIS". 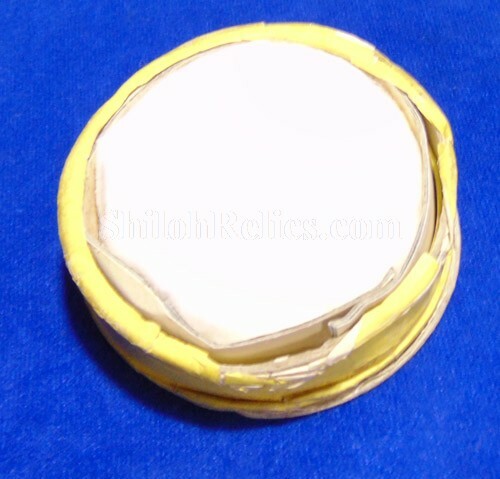 The body of the container is extremely fragile and has separated from the top and bottom cover. It still displays well and will look fantastic. When you display at beside your cartridges and or revolver.